I wrote this series to address several questions recently posted on my Facebook page. The questions were timely as there is a huge interest in hunting mature bucks. Folks are realizing that to hunt mature bucks, mature bucks must exist. For example, hunting mature bucks on properties where a majority of the yearling bucks are harvested annually is very frustrating. There must be mature bucks present to be harvested. Therefore it’s very important to have realistic objectives based on a property’s recent buck harvest. For example, if there have been an average of three bucks harvested per square mile on the property and/or neighborhood where you are hunting, there won’t likely be many bucks reaching maturity on that property. The bottom line is there must be mature bucks present to be harvested. Obviously, the more mature bucks in the area the better the odds of having an encounter with one. A higher percentage of the total buck harvest is usually composed of mature bucks in states with a more restrictive bag limit for bucks. Kentucky and Kansas are good examples of states with a restrictive buck bag limit and a trend of producing great mature bucks annually. This is simply a trend. 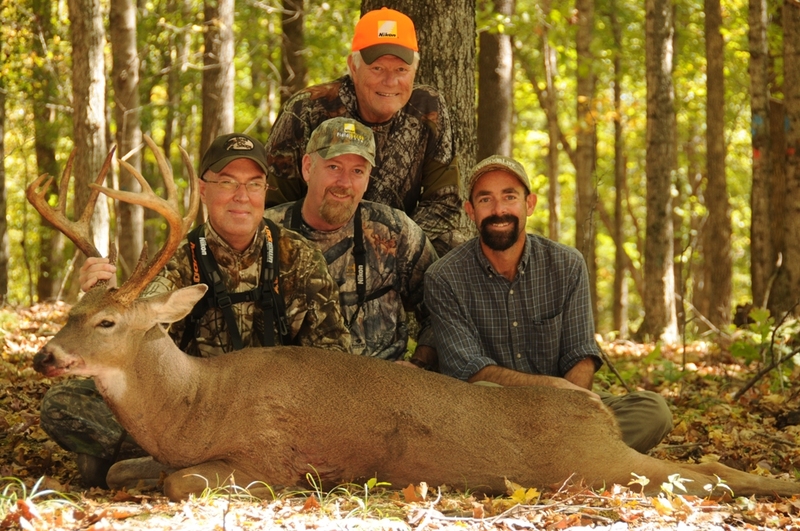 I’m aware of individual properties in most states that produce great mature bucks. These landowners or deer management cooperatives usually establish more favorable deer harvest guidelines than imposed by the state’s regulations. This is to say that the grass is not always greener on the other side of the fence (or border). Simply allowing bucks to reach maturity doesn’t mean they will express their full antler growth potential. Bucks need an excellent source of nutrition throughout their life to express their full antler growth potential – in addition to living to maturity. Even further, the better health (good food, limited stress) the buck’s dam was in has an impact on the buck’s health. This means that simply significantly increasing the quality of a buck’s diet for a year or two won’t necessarily allow him to express his full potential. The overall health of a buck (or other critter) is substantially impacted by their development years. When Tracy and I purchased The Proving Grounds, it was a horribly overgrazed cattle ranch. We’ve now owned it nine+ years and spent a lot of time and resources improving the habitat. However, the five year old bucks that are currently on our property were most likely from does that were raised in very stressful conditions. To determine the true potential of bucks at The Proving Grounds will require maintaining quality habitat long enough for does to be born from does that were raised with access to quality food and limited stress. Those does will need to have fawns, and then allow those male fawns to reach maturity. Let’s consider this three generations of deer – or 12+ years. This process can be short cut if the property is in an area where quality nutrition has never been a limited factor, and the only missing piece of the deer management puzzle is allowing bucks to reach maturity. In other words, the lower the quality of habitat, the longer it will take to allow the herd to express its full potential. However, such land usually costs much less than row crop land where good nutrition has been available year round for many years.